What Are E Liquid Ingredients? So we know e-cigs don’t have actual tobacco or the other harmful ingredients (tar, carcinogens, etc.) that you find in regular cigarettes. Instead, e-cigs use a liquid nicotine solution known as e liquid or e juice. But what exactly is e liquid? 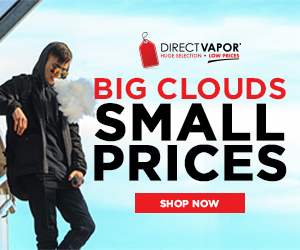 There are four basic e liquid ingredients; water, nicotine, flavorings and a propylene glycol or vegetable glycerine base (or sometimes a mixture of PG and VG). Let’s break down the e liquid ingredients in detail. Propylene Glycol (PG) – this is used as a base or carrier for the nicotine and flavors. PG is widely used as a food additive and can be found in many things that we regularly eat. PG can also be found as an additive in some medicines. Vegetable Glycerine (VG) – also used as a base or carrier for the nicotine and flavors in e-liquid. VG is a plant based substance and is sometimes made from coconut or palm oil. VG is also widely used as a food additive. Difference Between Propylene Glycol and Vegetable Glycerine. PG Vs VG. Provides a stronger throat hit, more similar to a real cigarette. But it can also dry out your mouth and throat. Thinner consistency and produces thinner vapor clouds. Can cause allergic reactions (tingling of the throat). If this happens, switch to VG. Provides a weaker, smoother throat hit. Doesn’t irritate the throat as much as PG. Due to thicker consitency, VG can cause a phlegmy build up in throat/mouth. 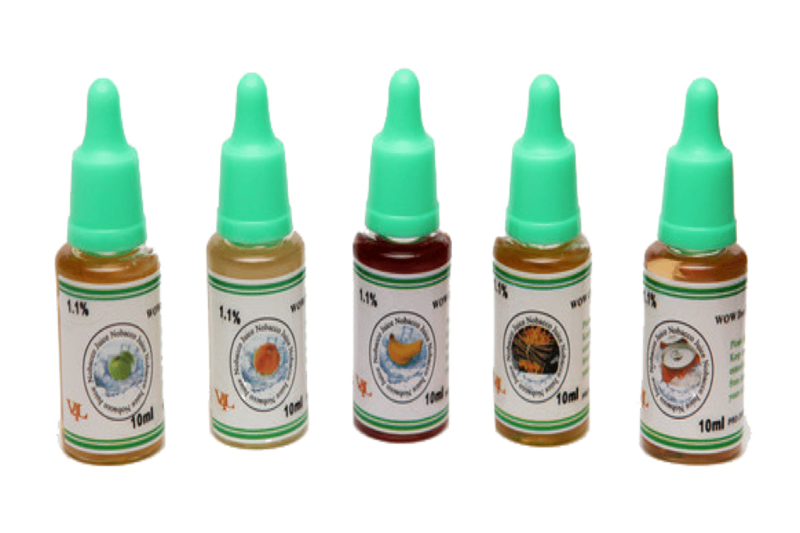 In choosing an E-Liquid, some people opt to go organic. 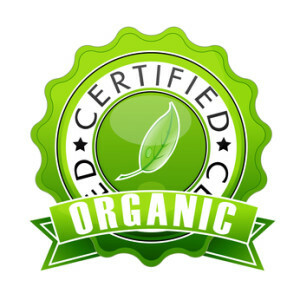 This mean that the e-juice going into your e-cig is only made from natural, “certified” organic flavors and nothing artificial. Also, it uses a vegetable glycerine or ethyl alcohol base, as opposed to the propylene base. Very simple. The e-liquid either comes in a pre-filled cartridge (cartomizer) or in a separate e-liquid bottle which is then poured into a reusable cartridge. An e-cig works by heating up the e-liquid solution with a battery. This produces the cloud of vapor that you inhale like a real cigarette. Repeat and enjoy! Is E Liquid Bad For You? Based on the e liquid ingredients, should you feel safe to vape? Both propylene glycol and vegetable glycerine (PG and VG) are considered “safe for human consumption” and are found in tons of food items we eat on a regular basis. It’s important to note that some people experience allergic reactions to PG usually characterized by tingling of the throat and/or irritation elsewhere on the body. If this happens, you should switch to a VG based e-liquid. If you are vaping e-liquid with nicotine (and most of us are), it’s important to know that nicotine is an addictive substance. Surprisingly, recent scientific research suggests that there may actually be some health benefits derived from the use of nicotine. Homemade E-Liquid - Is Selling It a Good Idea?